Young Justice finds themselves on Gemworld! 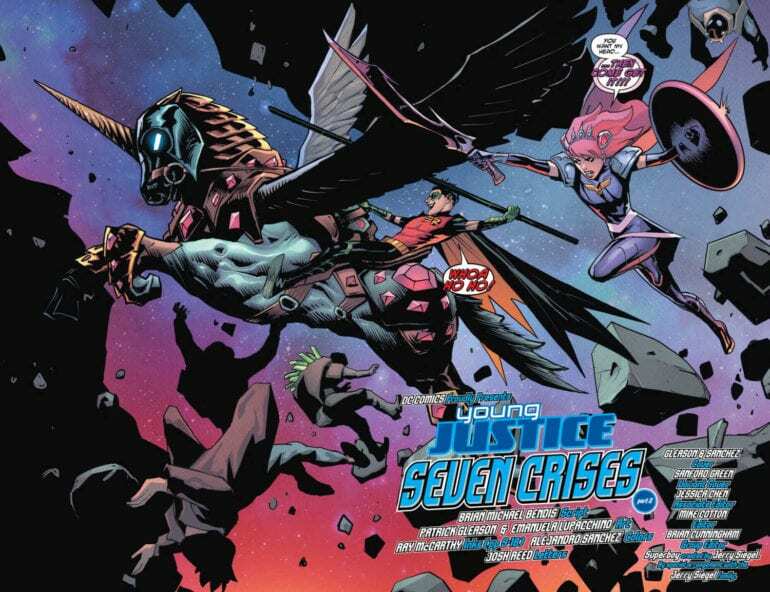 Young Justice is back! An average day in Metropolis goes awry when Gemworld invaded the city. Unfortunately for the invaders, they appear in the vicinity of teenage superheroes. Tim Drake, known as Robin, and Cassie Sandsmark, known as Wonder Girl, are the first on the scene. They quickly dispatch a few before more teenage heroes join the fray. Some are old fan favorites like Bart Allen, and some are new faces like Teen Lantern. 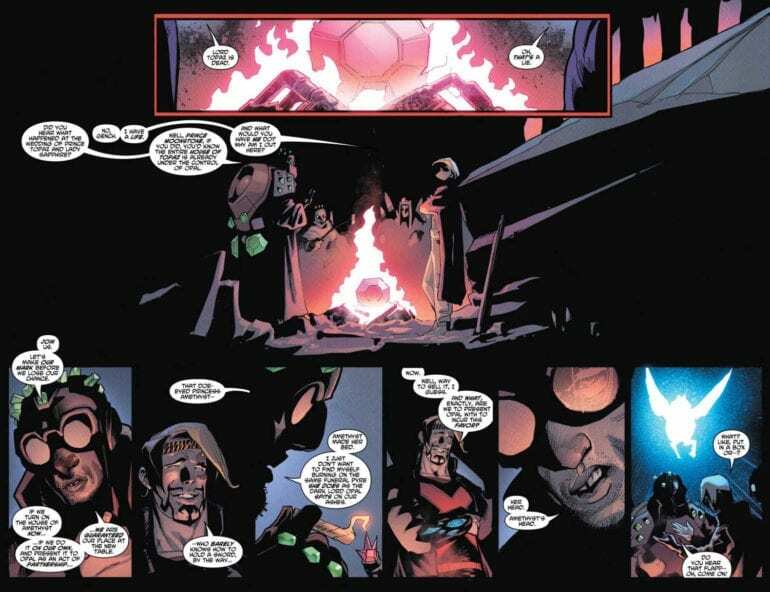 Just when the young heroes begin to overtake the invaders, everyone gets pulled into portals leading to Gemworld. Will our team fall before it has a chance to rise? The young heroes find themselves scattered across Gemworld. 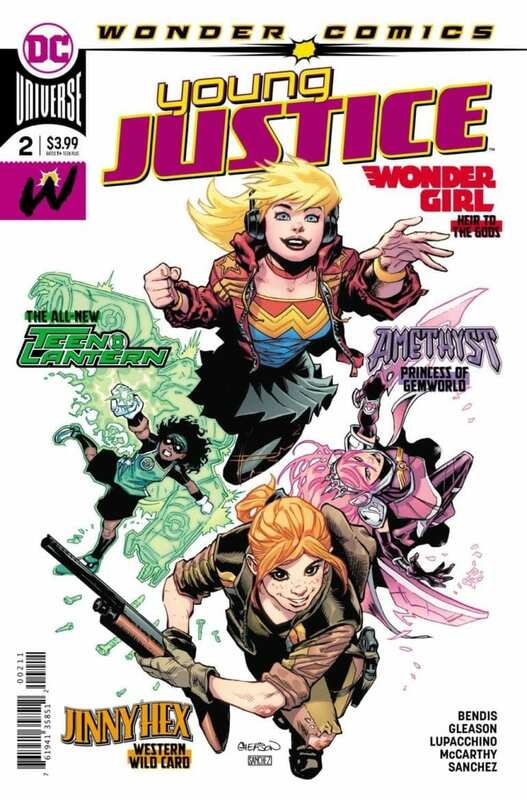 While Tim meets up with Amethyst to fight Opal’s forces, Wonder Girl introduces herself to our new heroines. Before we can see that conversation, however, we flashback to what Wonder Girl has been up to. Despite single-handedly taking down Despero, the public doesn’t know who she is. While Cassie doesn’t much care, she notices an older man in the crowd. She follows him, where he reveals himself as her grandfather, Zeus. He reveals himself to offer Cassie a necklace that will empower her bracelets and lasso. Most of this story is to fill in what Cassie has been up to since we last saw her. She has been doing the normal superhero routine, but no one is giving her credit as she doesn’t stand out. To which I am going to call bull. Some of the people in the crowd call her other names like Zatanna. She has bracelets and a lasso! There’s only one major superhero that has that! I know this is supposed to be played off as humor, as expected with a Young Justice, but it’s humor that doesn’t land. Humor aside, this issue also fails to push the plot forward. Sure, we have the members of the team finding each other on Gemworld, but that’s it. We barely get that thanks to the extended flashback. If the first issue was a messy step forward, this one was a messy step back. Patrick Gleason’s art in the present story continues to be great. I love his designs for the characters; it matches the tone of the story. The illustrations in the flashback are done by Emanuela Lupacchino, which always is impressive. The battle between Wonder Girl and Despero is just a colorful epic piece. 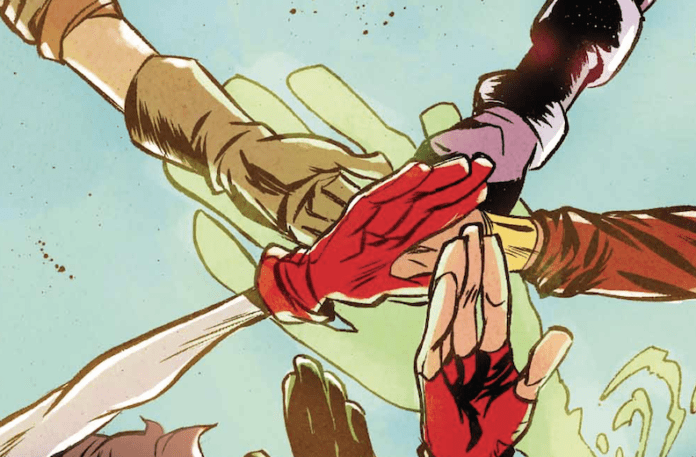 I love the look of Young Justice; it just needs to get its story together. This entire issue could have been a single page. I understand that Wonder Girl has it been in the spotlight for a while, but this opening arc has to give the team the spotlight. While it is a pretty book to be sure, I am not a fan with the direction of its story. It’s still very early in the series to judge, but Young Justice needs to shape up.